Floods triggered by torrential rain have killed at least 32 people in southern Morocco. Most victims were swept away by swollen rivers which also submerged cars, buildings and roads. Flooding is not uncommon in the mostly arid, desert region at this time of year but the storms of recent days have been described as the worst in decades. Efforts to escape the floodwaters have been hindered by damage to roads, at least 100 of which are said to have been cut off. Dozens of traditional mud-brick homes in the south have been destroyed. Authorities say that more than 200 people have been rescued. At least six remain missing. 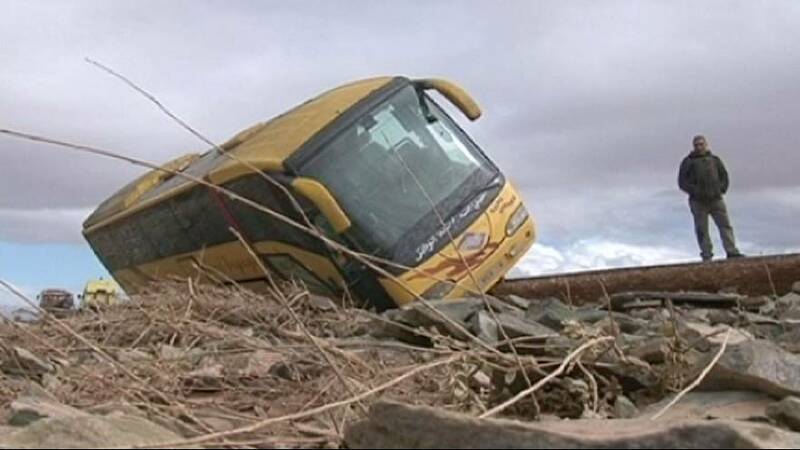 Tourists have been caught up in the disaster with the region of Marrakesh one of the zones affected.